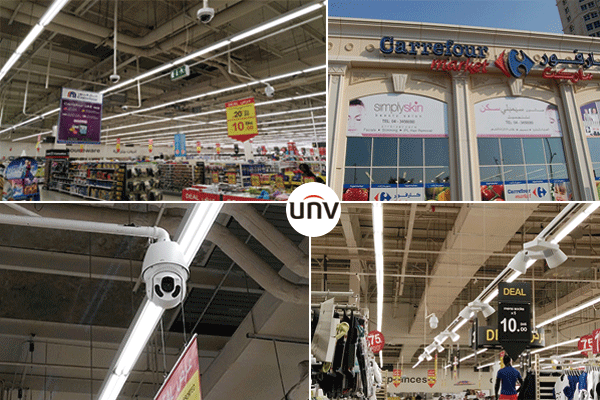 Dubai, UAE, September, 19th, 2017 - Uniview provided the video surveillance solution for Carrefour Hypermarket, major shopping destination in Deira Dubai, UAE. Founded in France, Carrefour is one of the largest hypermarket chains in the world, and one of the popular hypermarkets in the region. The brand was launched in the region in 1995 by Majid Al Futtaim, which is the exclusive franchisee to operate Carrefour in 38 countries across the Middle East, Africa, and Asia. In 1995, Carrefour opened its first hypermarket in City Centre Deira UAE and through the years, expanded to over 175 Carrefour stores in 15 countries across the region, serving over 200,000 customers a day. Carrefour operates different hypermarket and supermarket stores to meet the growing needs of its diversified customer base. In line with the brand's commitment to provide the widest range of quality products and value for money, Carrefour today offers an unrivalled choice of more than 100,000 food and non-food products as well as thousands of household goods. Each Carrefour has a team of in-store customer service professionals with vast product knowledge that are on-hand to assist customers and enhance their shopping experience. 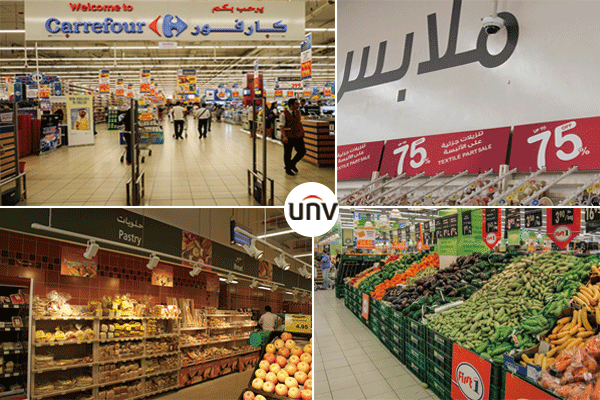 The Carrefour Hypermarket in Deira Dubai chose Uniview video surveillance solution to create a safer and more comfortable shopping environment. In order to create a safe and comfortable shopping environment, The Carrefour Hypermarket used Uniview whole video surveillance solution. More than 200 UNV IP cameras are installed in and around the mall, covering the whole shopping areas, including the stairs, the elevators and the cashiers etc. UNV NVR516 is used for management and storage. Six decoders and one keyboard are adopted in the solution as well. With UNV VMS—EZStation, security managers are able to oversee the whole areas in the central control room. - In order to keep the system working with highest safety level, NVR516 provides redundant power supply in case of electricity failure. For data storage, NVR516 provides different Redundant Arrays of Independent Disks like RAID 0, 1, 5, 6, 10. Even one of the HDD is broken by chance, NVR can prevent the data missing and rebuild RAID within a short time. In the Carrefour Hypermarket solution, 3 pieces of NVR516 are used, out of which 2 are used for storage. The rest one is regarded as back-up NVR, which ensures the whole system running in the most stable and reliable way. - With casual and ever changing staffs, it requires the operations to be simple so that no extra trainning is needed when someone else accessing the system. Uniview has fine-tuned the GUI and the EZStation to be user friendly and intuitive. - UNV NVR and camera support intrusion detection. By setting a restricted area beforehand, it can detect if anyone enter into the restricted zone at any time and send alarm. It is especially useful to prevent thief at night when the hypermarket is closed. With a massive people flow in hypermarkets like Carrefour, people counting function is especially usefuls. Hence, managers can reasonable reorganize employees' working time so as to save cost. Moreover, when searching video record, UNV NVR516 enables security staffs to search quickly with smart search functions. All of these smart functions bring great convenience to customers. - The on-board analytics and the ability to save time with features such as Smart Search are huge pluses. As the world's leading video surveillance solution provider, Uniview is covering more and more industries including world-class hotels, shopping malls, city surveillance, banks, hospitals, educations, and factories. Uniview will spare no effort on providing high quality products, cutting edge technologies and professional services for global customers.